The Indian head massage is part of the Ayurvedic School of healing and relaxation that was founded in India several thousand years ago. It is today, one of the most popular types of massages used in Asia, also commonly practiced by hairdressers and masseurs, to help their clients combat tension and stress. It has also become a modern favorite massage, and can also be used with other kinds of massages, because it is known for its extremely soothing and relaxing properties that no other kind of massage can produce. Also known as the champissage, the Indian head massage is a type of therapy that works through massage of the head, neck, and face. In line with the Ayurvedic way of looking at health, there are energy lines that cross throughout the body, and if one is blocked this is a cause for ailments and sickness. In the same light, this type of massage seeks to unblock energy lines that may have accumulated in the head region, to promote free flow of energy throughout the body and achieve a more balanced body and mind. At the end of the Indian head massage treatment, the client should be able to feel healthier and be cured of their sickness. The Indian head massage is very popular. It is highly recommended for those who are experiencing severe stress and tension, which oftentimes accumulates on the shoulder, neck, and lower head area. This can be cured through the massage, and will allow one to feel a new, refreshed sense of relaxation. The Indian head massage also allows one to think clearer and more rationally, because of its focus in unblocking energy lines located in and around the head. 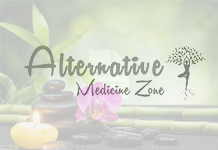 Various energy channels are located in these areas, and with the use of the proper herbs and oils to enhance the massage, these are very effective in breaking down barriers in the energy lines. The Indian head massage usually starts at the back of the neck, where pressure is applied gently over muscles and various pressure points. The massage is then moved over to the scalp, which is intended to relax the client while stimulating with their skin and scalp. 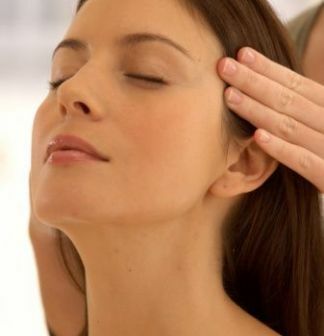 This technique in the Indian head massage is essential in jumpstarting healthy circulation throughout one’s body, and helps distribute oxygen and nutrients to the brain. Furthermore, the scalp massage will also promote hair growth while revitalizing the brain. The proper application of pressure throughout the areas in the neck and around the skull is essential in having the right results for the Indian head massage. The culmination of the Indian head massage begins with a face massage, which is very soothing and relaxing. Because pressure points are also located in the face, gentle pressure applied throughout will make one feel calm. This is also helpful to those who have sinus problems, as the massage will clear these blockages.